It seems that all news is canceled this week. All of it. There’s nothing happening. Our state broadcaster (which is totally unlike other state broadcasters in that when it promotes its state’s national interests, this is a good thing and not the most hideous evil to ever despoil the airwaves) has told us that the only thing of note happening anywhere is that someone is marrying someone with Magic Blood. This is to be a ceremony that we’ll all proudly take part in, by which they mean that we are to pay for it, despite not even being invited to the party. We’re not even getting a day off work because that would apparently cost too much. Those in power are definitely not going to use this event to sneak out the devastating news that benefits are to be frozen again this year – that’s effectively a 3% cut after adjusting for inflation. I’m certain that they’ll be bending all effects towards sorting the gaping holes in the UK VAT system which allows more than £1 billion to be evaded every year. They absolutely wouldn’t be cutting HMRC’s budget by £400 million per year RIGHT before the UK is going to leave the largest Customs Union in the world, would they?. They certainly would be breaking ground on all the new checkpoints and infrastructure that are going to be needed. The department should be awash with capital spending in preparation, shouldn’t it? They certainly wouldn’t big up their having done some furiously detailed groundwork on the impact of Brexit when they hadn’t actually done any such thing and were just hoping that no-one would ask to read them…till they did. The UK has some seriously skewed priorities and it goes from the bottom right to the top of the structure of governance. Scotland needs to have a good, hard discussion about what role it plays in all of this. 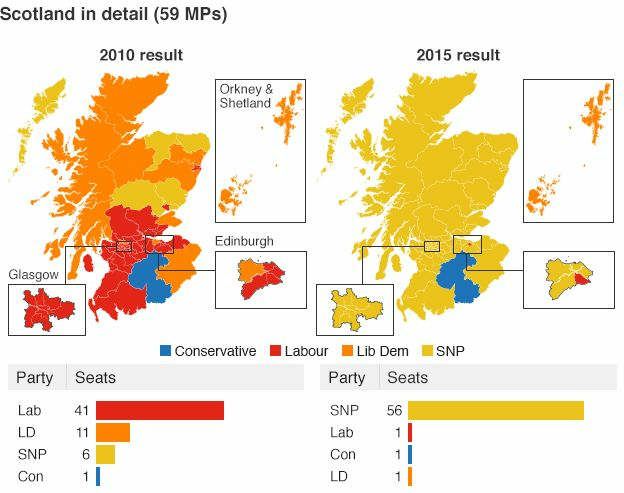 The Scottish Parliament already has a far fairer voting system than the one used for UK elections (despite the comparative complexity of the former) but should we take the step of becoming an independent country then we’ll have to have a think about some other levels of government too. I’ve already said a fair amount about the state of Scotland’s local government so today I’d like to look at what we’d want to do ABOVE the level of the present Scottish Parliament. 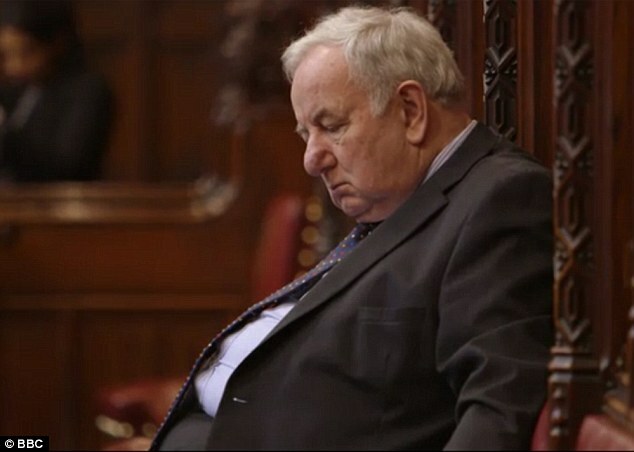 For instance, we may well decide to create an Upper House to scrutinise legislation but what we absolutely shouldn’t do is copy the UK method of stuffing it full of Lords and paying them to sleep off their hard day of…doing what ever they do for £300 a day. Far better would be a Citizen’s Assembly. Think of it as Jury Duty writ large. We’ve already decided that the best way to determine if someone has transgressed our laws is by a jury of randomly selected citizens so we could easily set up a method by which randomly selected citizens can determine if the laws themselves are just, fair and easily understood. And for above that? How do we represent the nation of Scotland to the world? If you had asked me in 2014, I would have said that I didn’t really mind too much and was pretty content with the Scotland’s Future plan of keeping the monarchy in the same way that Canada and Australia have. But I’ve shifted somewhat since then. I’m not sure I’d really welcome the appointment of a Governor General as Scotland’s nominal Head of State nor am I completely clear on what duties they would actually have in practice. The First Minister already does most of the Head-of-State meet-and-greet stuff when folk come to Scotland and it seems a little strange for that to stop. Nor do I want a restored and separate Scottish monarchy. Again, I’ve no time for someone to tell me what to do by dint of their divine appointment or Magic Blood even if Scotland does maintain a tradition of the Scottish Monarch being subordinate to the people of Scotland. Nor should a country professing to be a democracy pride itself on its locking citizens out from ever obtaining any governmental office even in theory. So, if we choose to have an official Head of State separate to the First Minister then it’ll have to be an elected President and that seems straightforward enough to arrange. Though we still need to have that discussion about what we want them to DO. As said, the First Minister already does most of the Head of State meet-and-greet stuff when folk come to Scotland so we’re faced with the choice of either actually empowering our Head of State and giving them executive controls like the power to veto laws, sign their own legislative orders or other such powers (i.e. similar to the President of the USA) or we continue to have a head of state with a ceremonial role but little actual power. And as I think on it…whilst I think it would be an upheaval too far to actually empower a Head of State, I don’t think I feel so enthused about swapping an unelected but powerless leader with an elected but still powerless leader. It just doesn’t feel as if it’s a decision rooted in the practical. On the other hand, I’m somewhat nudged by the argument that a Head of State separate from the government may be able to say and do some things without constraint by that government (though it’s noted that our current monarch maintains a “strict” rule against saying anything at all unless they think they can get away with it). So help me out here. What would you want from a Head of State of an independent Scotland? How would someone gain that position? And what kind of person would you expect to see in the role? On the 18th of April, Theresa May called an election which was not required, so she could increase a majority she already had, so that she’d have a mandate she didn’t need to negotiate with an EU delegation which doesn’t care about such mandates. Once more unto the polls, dear friends, once more. Thanks to Theresa May’s call for a snap election we find ourselves going again back at the polling stations on June 8th to elect our representatives to the UK parliament, just two years after having done so previously. Time, then, for another of my impartial and non-partisan guides for first time voters or those who have not voted in some time and wish to know how to vote. As with my other voting guides, it will not be the place for this article to lobby for any particular vote. I’ll leave that to other blogs (such as, but not limited to, Scot Goes Pop, Wings Over Scotland and Wilderness of Peace) and to other articles. Whilst this is a UK wide election, the focus here will be on Scotland as that’s where I am and where I know best. It has been a time of great change in this country over the past decade or so, particularly in the aftermath of the 2014 Scottish Independence Referendum which saw a great divide in the landscape of the party politics of Scotland and a substantial surge in support for the pro-independence parties. The swing from the 2010 results to the 2015 results were dramatic enough to have carved a place forever in the history books and to have shocked many who were trying to predict the results ahead of time. Since then, the rise of the Conservative and Unionist vote in Scotland, largely gained via that party’s cannibalisation of their former allies, Labour and the Lib Dems, has been the talk of the political water fountains. With the SNP sitting about as high as they possibly can in the rankings, most are asking how far their support will or will not erode and who will pick up any seats they may give away. This is the most important thing. If you are not registered to vote, you cannot vote. There is no “on the day” registration in Scotland and the deadline for the Council elections is 23:59 on May 22nd. If you are registered, you are likely to have received a polling card by now telling you where to vote. If you haven’t or if you know that you are not registered, then information on how to do so is here. Even with the relatively high turnouts seen in Scotland lately, it’s still often the case that more people do not vote than vote for the winning candidate in a seat. Get out and have your say. Unfortunately, unlike the Scottish Parliamentary elections, the EU elections and the Scottish local elections, this vote is not open to 16 and 17 year olds nor to non-UK, EU citizens. Westminster is yet to catch up with the opening of the electoral franchise to these groups. If you find yourself in this situation the only thing I can suggest is that you lobby your friends and family who can vote to consider your needs along with their own and to continue to demand that things change in future elections. Of the various election methods used in Scotland’s various elections, the one used in the General Election is both the easiest to explain how to fill out a ballot and the easiest to count and come to a result. For this election, Scotland is split into 59 constituencies as shown below. In each of these constituencies several candidates will be vying for your vote. Despite the attention given to the political parties both in the media and in practice within government, technically you will not be voting for a party on your ballot sheet. You will be voting for a person to represent your constituency in the House of Commons and that person may or may not be a member of a party. When you go to cast your vote, either at the polling station or via a postal vote, you will be presented with a ballot paper which looks something like the one below. The candidates will be shown in alphabetical order according to surname and below their name will be shown their registered address and either the name of the party to which their belong (if any) or a slogan chosen by the party which represents something about them. The party’s logo may be shown to the right. You may cast your vote by placing an X in the box beside your preferred candidate. Do not make any other mark on the paper and do not rank candidates in preference order as you may have done in the council elections as this will invalidate your vote. Once done, put your ballot in the box and you’re done. Once the polls are closed and the ballot boxes unsealed, it’s time to count the votes and decide who wins each seat. The General Election is counted using the First Past The Post system, or FPTP. This system has the advantage of being very easy to count and always decides a single winner who will represent that seat. In this system, the ballots are simply piled according to the X’s and whomever gains the most, even by a single vote, wins. There is no need to win a majority of votes (that is, over 50% of all votes cast) or anything like that. This does lead to the inherent unfairness of FPTP as one can easily see that in a race between, say, four nearly evenly matched candidates, the winner will be the one who receives just slightly over one quarter of all votes cast. In fact, Alasdair McDonnell of the SDLP did precisely this in 2015 winning the seat against six other candidates in Belfast South with a total of 24.5% of votes cast and currently holds the record for the lowest winning percentage of votes in a UK General Election. This allocation of seats means that parties can win a large number of seats based on a relatively small percentage of the overall vote. Since WWII, there hasn’t been a single UK general election where the winning party has received more than 50% of the overall popular vote. When it comes to forming a government, the party with the most seats generally has the first chance to try to do so and, with only a few exceptions, it is generally the case in the UK that the winning party is able to form a majority government and rule alone. The previous Conservative government had a majority government despite only receiving 36.1% of the overall UK vote. The limits of FPTP also mean that parties which have small but concentrated votes, such as the Lib Dems and the Greens of England and Wales, can receive seats by winning those individual constituencies whereas parties like UKIP can receive a broad level of support across many constituencies without winning any single one of them. But, for worse or better, that’s the system we’ve got at the moment. I hope this guide helps folk understand it and helps you cast your vote on June 8th. If you haven’t voted before or were planning to not vote, I hope you turn out and have your say.